Texas-based, artist Bill FitzGibbons has worked for more than three decades in sculpture and urban art. 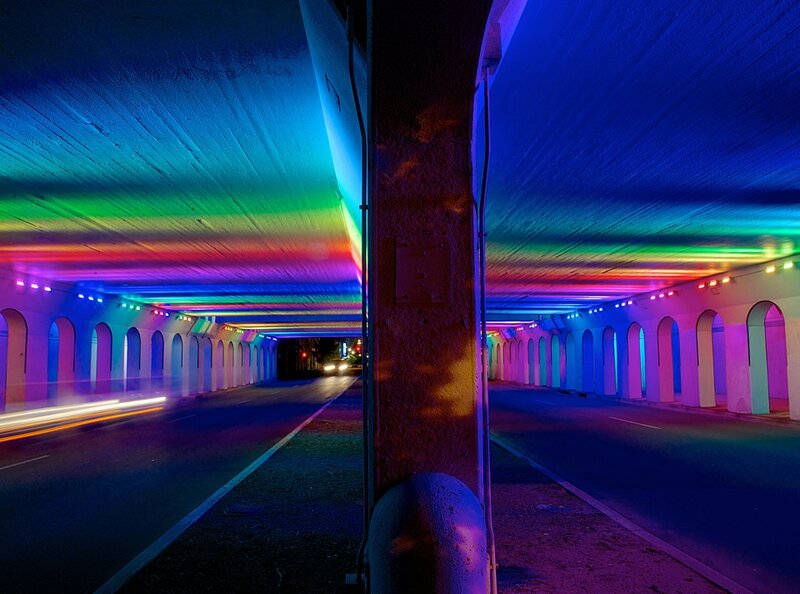 He is internationally renowned for his rainbow-coloured lighting installations that have been commissioned over the years throughout the United States but also in Reykjavik, Helsinki, Stockholm, in Germany and the United Kingdom. His large-scale artistic projects have an environmentally conscious approach as he uses computerized LED lighting systems. Discover some of his installations.